HKS forged aluminum pistons are complete sets including piston rings, wrist pins and retaining clips. Piston sets are available in standard cylinder bore size, as well as factory recommend over-bore sizes. The surfaces and top ring lands of HKS pistons are nickel plated and highly resistant to damage due to abnormal combustion. 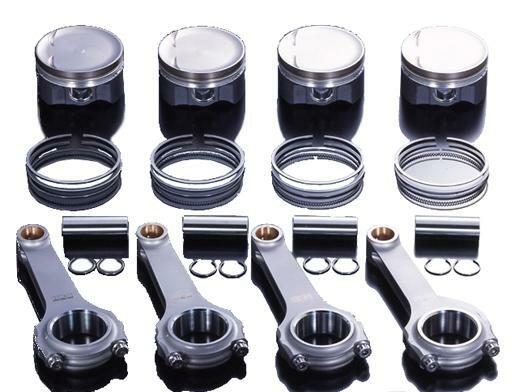 HKS Connecting Rods are designed and matched to HKS Piston kits and provide amazing response and power.